After a fifteen year break to wise up and dry out, Portland's anarcho-punk legends RESIST are back and stronger than ever. Still anchored by original vocalist Tom Nims and guitar player Ward Youn, they have added new talent on bass and drums. While still distinctively the same fast and raw RESIST you remember from the old days, the song writing for this new material has greatly matured and is much more dimensional than anything before. 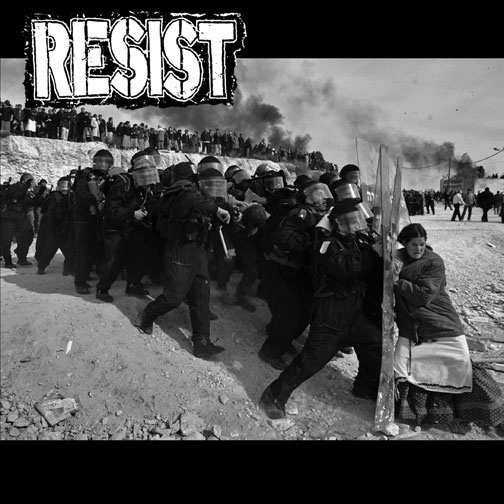 The cover is a classic anarcho-punk fold out poster sleeve just like their last LP on Profane Existence. This record is pressed on 100% recycled black vinyl.